| Basic, but well done. As I was going to the movies the other night to see BlackkKlansman, a woman stopped me. She was an Asian woman. She looked at me sheepishly and said, "Pardon me, I've never been to the movies before. Would you help me buy my ticket?" I assisted her on the machine. She was so grateful, smiled, and shook my hand as she walked into her showing of Crazy Rich Asians. This is why minority representation in Hollywood is important. Crazy Rich Asians tells the classic Cinderella story and takes it to modern times. Boy meets girl, girl falls in love with boy, boy turns out to be rich as hell. The film indulges in all of the luxuries from Kevin Kwan's novel, on which the film is adapted. There's the first class flights, the expensive weddings, and other various obvious showings of that great Asian wealth that Yeung family has procured. The real twist here is that the film features the first all Asian cast in a Hollywood film in over 25 years. 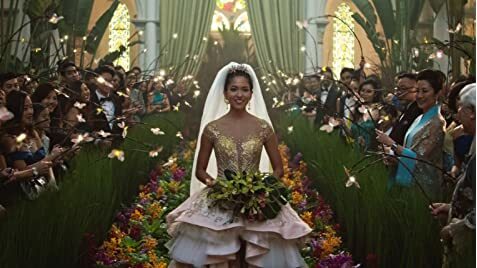 Crazy Rich Asians opens brilliantly with the perfect middle finger to all of the racism and backlash it has received. A racist hotel manager refuses to believe that the Yeung family has enough money to stay in the hotel. It shows the family scared, all huddle in the phone booth outside as rain falls upon them. When the family returns, entirely drenched, they are now the owners and proprietors of the hotel, as Eleanor Young (Micheel Yeoh) smiles to the audience. It is the perfect opening to a film that takes on such a difficult yet amazing task of inclusion and diversity. The film has its moments of absolute brilliance as previously mentioned. Seeing Asian culture and sensibilities portrayed in such an honorable and non-stereotypical way is refreshing. 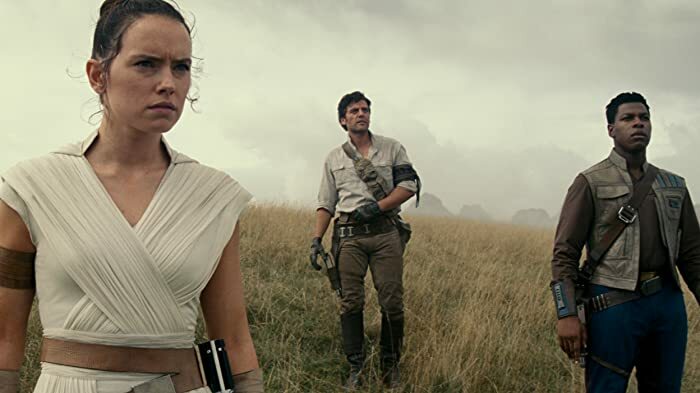 However, the film failed to escape from the classic romantic comedy tropes that we have seen time and times again as viewers. The leading lady is pretty, but not gorgeous. She is insecure about how she presents to her boyfriend, who is ungodly attractive and has been with tons of beautiful, yet interpersonally unappealing women. He finds the one he wants, despite their differences in social class and standing. All along the way, the girl is increasing her external beauty, as a total loss of complete feminism. This tells the female viewer that if you aren't wearing the right clothes, and look the part, you have no success at love. All along the way, the oddball, yet humorous and encouraging friend steals every scene as the far more interesting and in-depth character. This isn't to say that Awkwafina isn't absolutely brilliant at her role, and doesn't have one of the brightest young futures of anyone in show business, but it feels overplayed. The madcap insanity of this movie, followed by its basic poignancy is something to be appreciated. The film has been a smash hit at the box office, proving that diversity really does sell. Pay attention, Hollywood! Overall, Crazy Rich Asians is an enjoyable movie, but no great feat to write home about. Astrid Young Teo: It was never my job to make you feel like a man. I can't make you something you're not.